Stir sugar and 1/2 cup water in a small pan on low heat until sugar dissolves. Increase heat to medium and boil for 7 mins, until syrupy. Remove from heat. Stir in chilli and set aside. 2 Cut pineapple into four 2-3cm-thick slices. Using an apple corer or cookie cutter, remove core from pineapple slices. 3 Preheat a chargrill or barbecue on high. 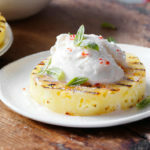 Cook pineapple for 3-4 mins each side, until golden. 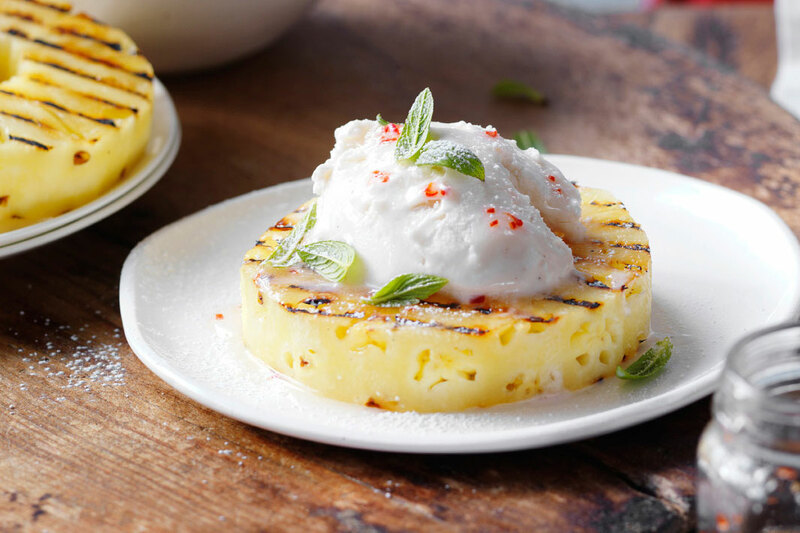 Divide ineapple slices between plates, top with ice-cream and drizzle over chilli syrup. Scatter over mint, dust with icing sugar and serve. Since a pastry chef introduced me to using chilli in desserts, I’ve had a lot of fun playing around with sweet and spicy combinations.